Looking at the Marti Reports on here and some others that show up with the car pics on Ebay, I noticed there are a lot of Factory Options available. The rarest option I've seen is intermittent wipers (191 cars had this option in 1971). I also noticed an AM/8-Track Stereo on that same car. I'm sure there are other options that I've never heard of...cruise control maybe? Who knows? Question: Is there a list somewhere that shows all of the Factory Options that were available for each year? I'd like to see that list too. Widowmaker00;16583 Wrote: I'd like to see that list too. Yes but you have to buy this book "Mustangs by the numbers 67-73"
BTW- Mr. Marti gets pissed if you list any of "his" stats from the book on any websites. Funny how he does not complain when I push his stuff. When I find the book (somewhere in a box) I'll post some of the more interesting facts like how many 71 429's and 72 351 HO's were made by body style and how rare some of the options were. Don65Stang;16582 Wrote: Looking at the Marti Reports on here and some others that show up with the car pics on Ebay, I noticed there are a lot of Factory Options available. 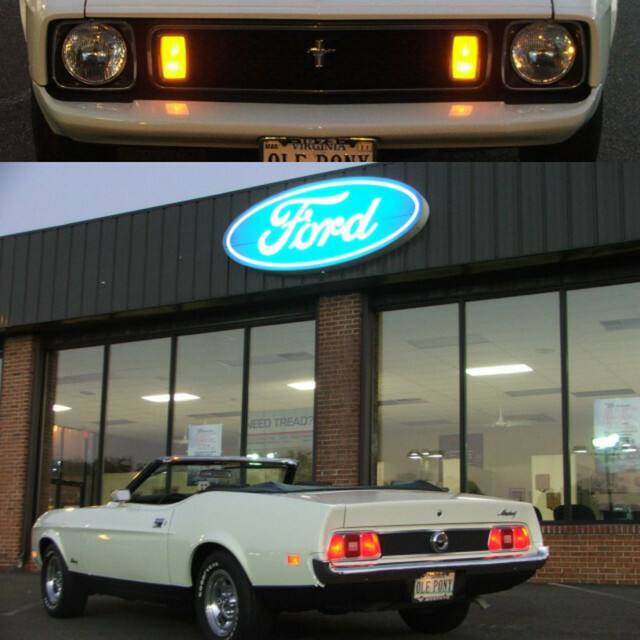 My 72 Mach 1 has intermittent wipers and I did not order it when I ordered I ordered my car. The first time I shut the wipers off and turned it to the left past the off position I thought something was wrong with the wipers. There is a reproduction out of the Mustang Accessory Price List. I bought one from CJ Pony parts. It's four pages and cost about $3 or $4. For instance the Intermittant Windshield Wipers was a $23.23 option for the 73's. Actually you can price out the whole car, it includes the base price of each model and any group prices, such as Decor Group. Neat booklet for a reasonable price. I saw that about a week after finding the same list in with my original paperwork. I thought I had something really rare! Oh well, here's the link to the previous posed scan. 72Q-code;16598 Wrote: I saw that about a week after finding the same list in with my original paperwork. I thought I had something really rare! Oh well, here's the link to the previous posed scan. 72Q: Thanks for posting a link to the previous thread for this topic. Somehow I missed seeing that one. 72Q-code;16598 Wrote: Oh well, here's the link to the previous posed scan. Welcome guys, I am glad Vamach scanned it, saved me the trouble!